You can join in on our newsletter. 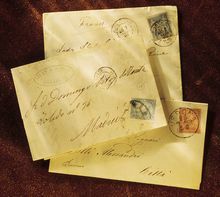 If you are interested in our Internet Stamp shop or would like to receive new offers for stamps, letters, postal cards or other articles, then please join our news letters. The newsletter will be sent out approx. 10 times a year.